Unique — Pedigo Construction Group, LLC. 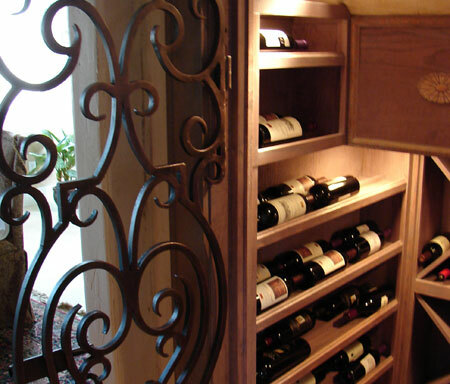 We have created state-of-the-art, award winning specialty areas for clients that range from wine cellars to media rooms and more. Our design and construction expertise will allow us to help you realize your dream – no matter what that dream might be. Check out our photo galleries for a taste of what you can only imagine. This home in Lake Highlands had a poorly planned Master Suite and four hall closets. We redesigned the entire space encompassing 2 hall closets, the old Master closet, wet area and vanity station. The new shower location was actually their old closet. We were able to create a fully functional bathroom and increased their closet space by 75%. This project features beautiful Oak Wood built ins flanking the fireplace in the living room. The white and red oak used is reclaimed from the Ohio River Valley and is over 100 years old.